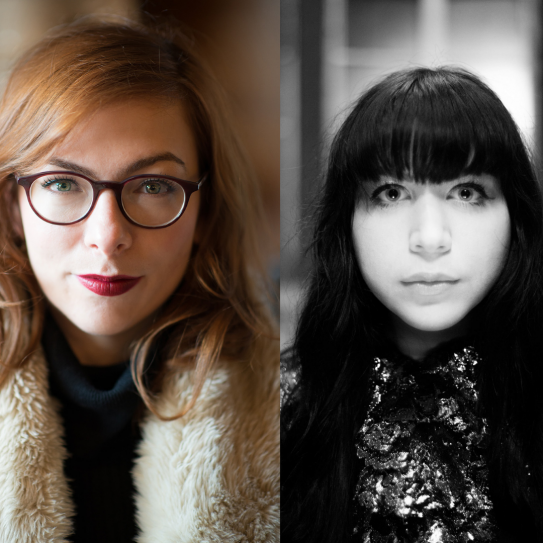 Director Dara Malina and composer Lacy Rose are adapting Clarice Lispector’s 1964 novella, THE PASSION ACCORDING TO G.H., into a multi-disciplinary opera. THE PASSION ACCORDING TO G.H. is the story of a woman who encounters a cockroach while cleaning her home, tastes the white stuff inside of the crushed insect, and has an existential awakening. Known only as G.H., an unmarried self-sufficient female sculptor, she travels time and space while never leaving the quadrilateral room described as a “minaret.” This transformative piece celebrates one of the finest Latin American writers of the twentieth-century. Our goal is to create something beautiful, grotesque and sublime. To immerse an audience into the soaring poetic language and abstract depths of this challenging work about individual agency, hope, and the meaning of life. To escape reality and enter the superior unreality of this mind-bending religious experience. Lacy Rose is a New York based classically trained vocalist, composer and poet. She collaborates regularly with choreographer Coco Karol and composers Sxip Shirey, Alaina Ferris, and John K. Stone. She has opened for and performed with such eclectic artists as Cocorosie, Baby Dee, Dave Malloy, Amanda Palmer, and Osso String Quartet. In August, she made her Mostly Mozart Festival debut in the Schubertiade Remix at Lincoln Center alongside members of the International Contemporary Ensemble. As a composer of neoclassical art songs, Lacy regales her audience with tales of magic, myth, tragedy and love. Maria, her six-part song cycle, explores the inner life and personhood of Gustav Klimt’s muses, Maria “Mizzi” Zimmermann and Maria “Ria” Munk. Rose composed the score for a theatrical adaptation of Dylan Thomas’ screenplay, The Doctor and The Devils, and is currently adapting Clarice Lispector’s The Passion According to G.H. into an opera with director Dara Malina.